Description: This project, funded by the Walmart Foundation, seeks to train farmers on good farming techniques and harvest and post-harvest procedures to increase not only the quality, but also the quantity of cashew produced. To ensure that the African market will be the final beneficiary of the intervention, the project will simultaneously train farmers and create linkages between farmer communities and processing facilities to encourage the flow of the improved produce primarily toward African-based cashew processors. The project focuses specifically on empowering women in the cashew value chain through further training on livelihood diversification. Key Outcomes: Increased institutional and organizational capacity of local organizations to support cashew producers in targeted regions of Ghana and Kenya; improved access to markets for cashew farmers; increased skills and knowledge of smallholder farmers to benefit nutritionally and economically from intensified and diversified agricultural production; improved income security of 35,000 smallholder farmers in the cashew-producing regions of Ghana and Kenya. This project will do much to decrease poverty in the beneficiary communities by reducing their vulnerability to economic shocks. 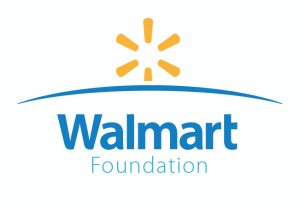 This page is made possible by the generous support of the Walmart Foundation. The contents are the responsibility of the African Cashew Alliance and do not necessarily reflect the views of the Walmart Foundation.